Out in the ‘middle of nowhere’ … what a better way to escape! Plush king size bed. Large attached living room. Gorgeous rock wall shower with waterfall shower head. Custom details everywhere you look. If you are travelling with another couple or a larger family - the Whiskey Suite has the option to adjoin with ‘Swanky Digs’ … giving you and yours the entire front of the hotel to enjoy! …“this is THE place to stay in. the place is so unique. each room has its own soul and everything was renovated by an enthusiastic family and the work is remarkable. we loved the pillow, they were soooooo comfy and there was a super nice smell every time we stepped in the room, it was making the place even better. 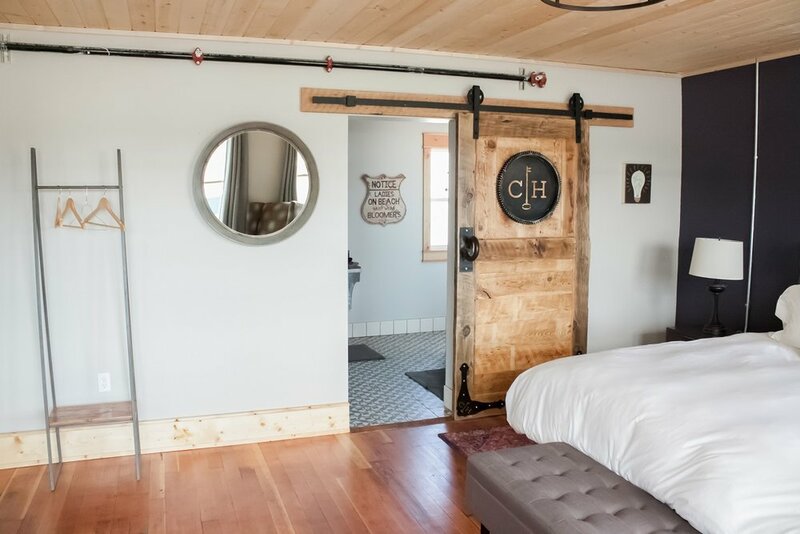 the hosts are incredibly kind and available so do not look any further and stay in that very authentic place.” — C.H. 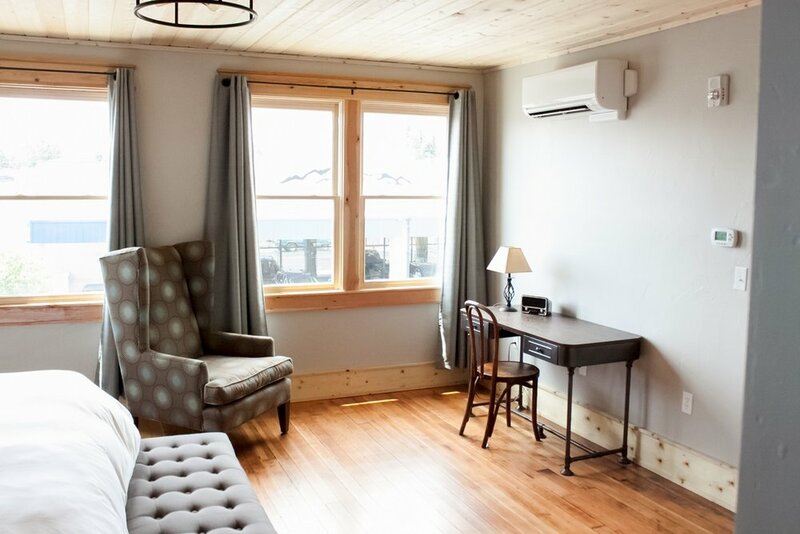 … “Beautifully restored hotel in downtown Burns — lovingly restored making for a wonderful stay in a spot that has the craft and quality and character of the ‘old era’ and the comfort and convenience of a contemporary hotel. 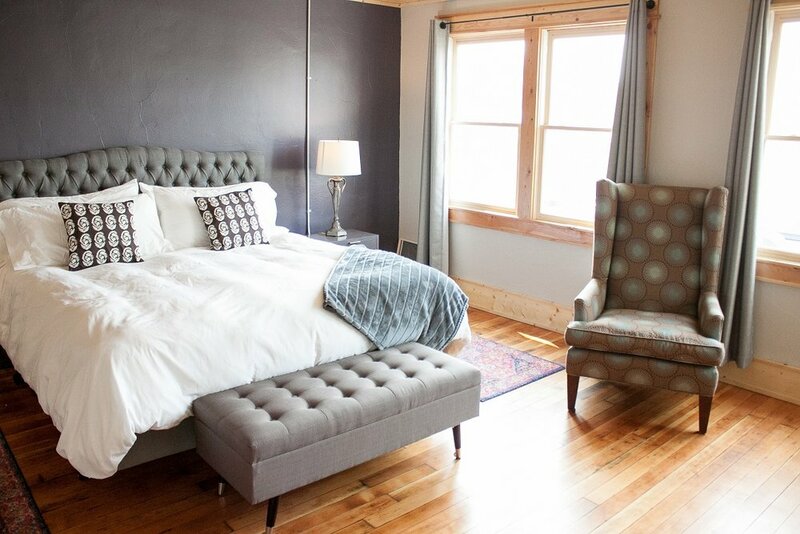 One of the most comfortable beds I’ve ever slept on!” - A.G.